Popular Pet Names in 2017: What are Your Predictions? 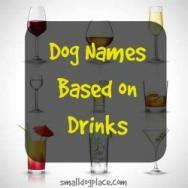 Popular pet names are always a great choice if you are getting a new dog in 2017. 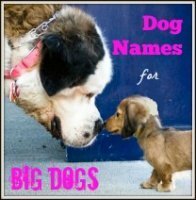 From Pop culture, politics, to favorite Sports icons, if you want some just a bit more unique than last years’ popular dog and cat names, sit tight, as we have some suggestions. Our dogs are as much a part of our family as the two-legged members of our households, right? So it’s only natural that we should spend a lot of time figuring out names that reflect who we are and who we want them to be. When it comes to pet-name popularity, Fido and Fluffy are out in place of other more personality-driven monikers. Move over Max, Sam, Bella, and Molly. 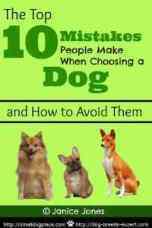 After all, choosing one of these very popular names could get you trampled, when you call your dog at the dog park as the 15 Bellas in the park come running. This past year with all its ups and downs, surprises, and current events has provided much inspiration for many new pet names. But, what will be the most popular pet names in 2017? Politics, for one, has entered households and spurred on creative new pet names ideas. Donald or Obama may be obvious choices; there are plenty of other names of famous people on the national stage. 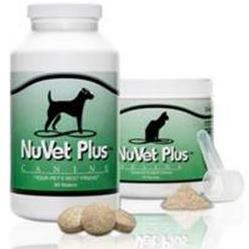 They are likely to be big hits with pet owners. Of course, the names that politicians give to their pets are always good choices, too. Are you a Pop Culture Junkie? 2016 provides plenty of new names from which to choose. Take movies, for example; Star Wars has found a modern-day resurgence, as has names associated with its characters. Many of the best Star Wars Characters have rather long complicated names that may be too much for a dog, but there are some great short, snappy names, perfect for a dog. Have a favorite TV Show or Movie? If you are an avid Harry Potter fan, think girl names such as Luna or Fleur. Don’t forget Primrose or Rue from the Hunger Games. 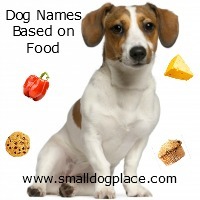 Popular TV shows can also provide plenty of names for our four legged friends. Prefer a Laugh or Two? Sports provides inspiration, too and are available from all over the globe. We chose from among the famous in the United States. We, as the world, mourned the loss of many famous people who passed in 2016 and if you are a fan or admirer, what better way to immortalized that special person than to pay tribute by naming your cherished dog. Here are some more predictions from our friends at Petco. 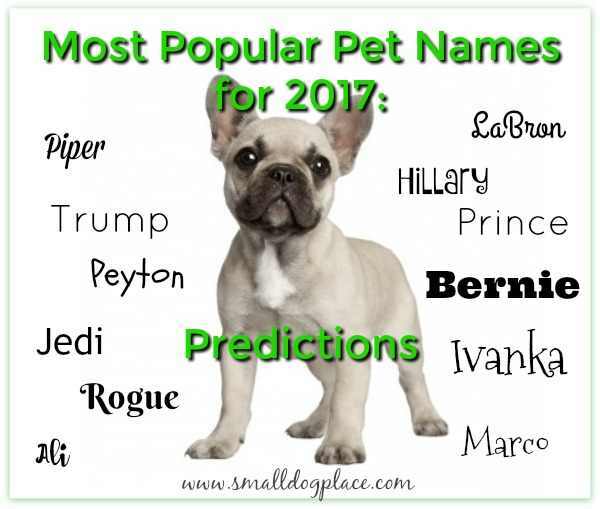 What are your predictions for popular dog names in 2017? Leave your ideas below the infographic, and we’ll add them to our predictions. What are Your Predictions for Great Names in 2017?